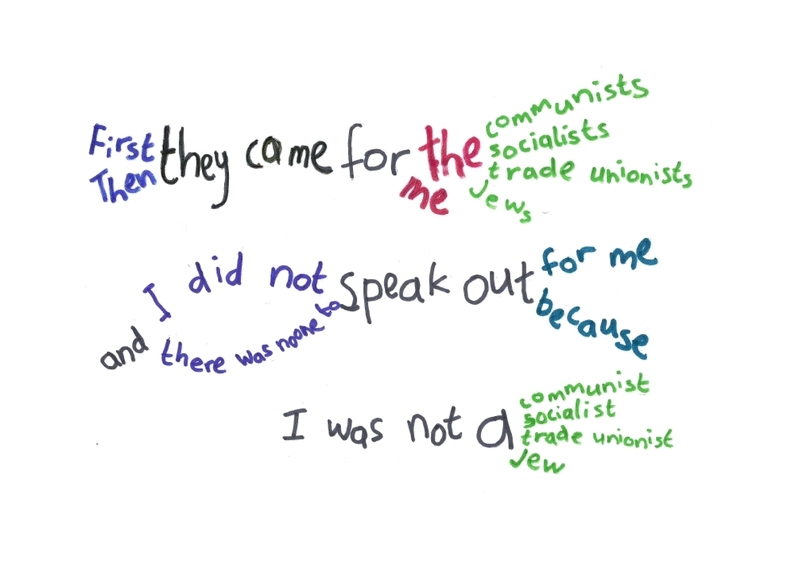 As Martin Niemöller in this poem, which has been interpreted by Mike in the language plant above as part of his Holocaust Memorial Day lesson, as he coldly rationalises, freedom is not appreciated till it is withdrawn. A common response to language plants are: “ooh, that’s nice, have you got any on Henry VIII, or The Highwayman (a poem that some primary schools study), or other such topics? Last week, I was at a secondary school EAL meeting where the presenter issued us with a science text incorporating the term “trumpet-shaped protozoan”. In groups, we worked with these, and other phrases, coming up with “creature”, “organism”, “single-celled” and the like, in an attempt to scaffold it for EAL learners. “Scaffolding” is always a buzz word in these meetings. Later, when it was my time to present, I recycled this work into the idea of language plants. In EFL, this would be called CLIL, and I have followed the debate at Jeremy Harmer’s Blog closely. Giving freedom to language learners is what I would consider of primary importance. Not just in the affective sense, which dogme principles amongst many approaches subscribe to, but in offering learners a choice of language. 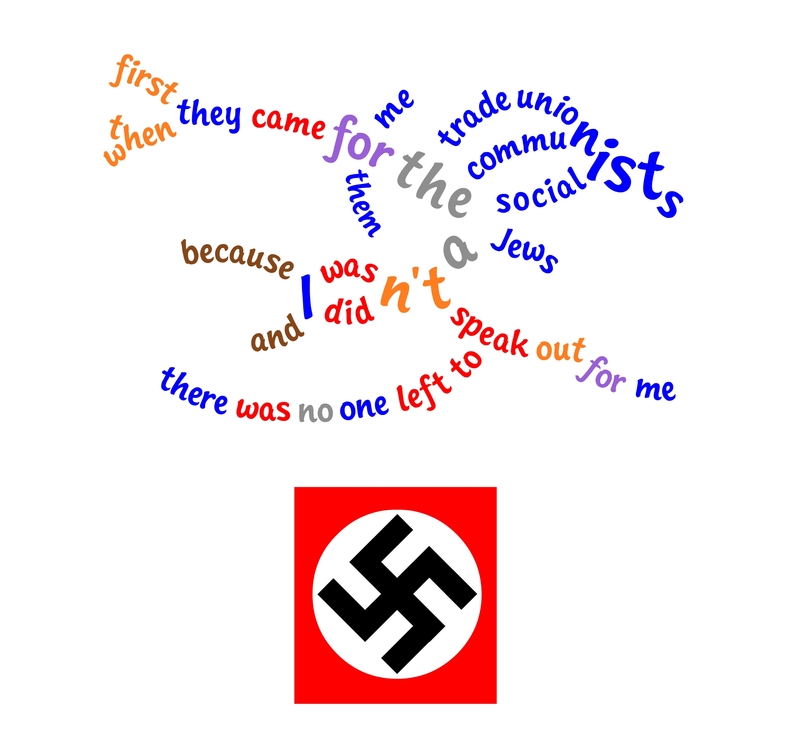 when they came for them. Reading about the poem on Wikipedia, there apparently isn’t a fixed version of the poem, and that Martin may very well have changed it on different occasions, employing the freedom of expression which he could see being stripped from his fellow citizens. I think you say something of profound importance (and especially for those of us in curriculum development). It is about “freedom” and the organic nature of language development. I call it “student created content” and after years teaching, really espouse the view that curriculum shouldn’t be dropped in wholesale but should develop from the learner. It’s about learning, not teaching. Chomsky always thought of language acquisition as “growth” not “acquiring”. It is that which absorbs and fills – it doesn’t build brick upon brick. The process is much more than structure and a+b+c. Your language plants are a lovely illustration of this…. Let’s have more “freedom” – a very creative way to use Pastor Niemoller’s words and it got my brain sparking! Thanks David, Mike mentioned we should get in touch with each other about curriculum design. I’d like that. As ever, I really appreciate the angles you take with your language plants, David. I really like your plant and the extra freedom it gives to make different expressions. With permission, I may well use this plant on Thursday as a follow up. See if my students generate any more language. Thank you for sharing it. I was also intrigued by the different version on Wikipedia when preparing the lesson, and interested in the contemporary adaptation Miguel made in his comment. These are certainly ideas that we should not forget, even 55/56 years later. You must be a natural! Glad to see you all collaborating and “keeping in the light” important historical events. Hi Brad, do you think/hope there will come a time when the svastika is first and foremost recognised in the west as an ancient sanskrit symbol meaning “thing that is auspicious” rather than for its current association? You are currently reading First they came… at language garden.